After the loss of a loved one, there’s comfort in knowing they’ll be forever remembered. Our nourishing fruit arrangement is a tasteful way to let those who are grieving know you’re thinking of them during this difficult time. 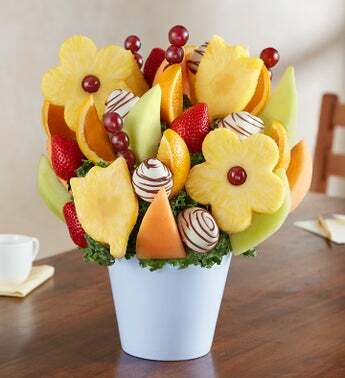 Filled with fresh, juicy pineapples, strawberry and melon, it’s a sweet tribute to someone they loved so much.